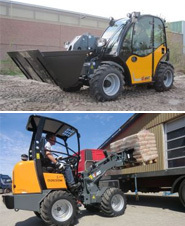 From compact, wheel and even telescopic loaders, we offer maximun performance, saftey and convenience. Agrigultural tractors for specialized use in vineyards or orchards, crawler models or designed for open field work. 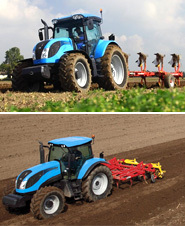 McCormick produces a comprehensive range of farming machinery for open field work such as agricultural tractors & trucks. Leading company when it comes to the production of two-wheeled tractors and specialized tractors for orchards and vineyards. We are the manufacturer of Giant wheelloaders, telehandlers and attachments. The Unimog the top farming truck - Making agricultural logistics more cost-effective. We offer cargo handling solutions and services to ports, terminals, distribution centres and heavy industry. 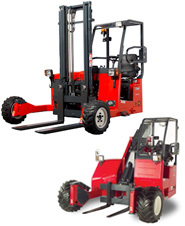 HELI produces 1 to 46t Engine Forklifts, electric counterbalanced forklift trucks, lithium battery forklifts, electric reach trucks, empty container stackers and reachstackers.